I am so excited for the premiere of The Glass House Monday on abc. Normally I probably would not be watching. But, I have a special reason to watch. One of my very best friends, Andrea is on the show! She is an amazing person and I hope she does great! She is a mom. She is fun. She is hilarious. And she really cares for others. So you should probably vote for her too! Voting is already going on. I am also interested in seeing how they decorate this glass house. I am really hoping it looks like this. Best glass house challenge ever! 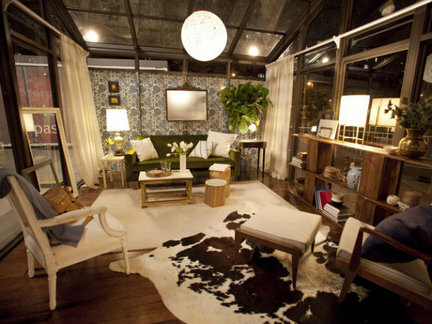 Always looking for another design show, there are only so many House Hunters a girl can watch!